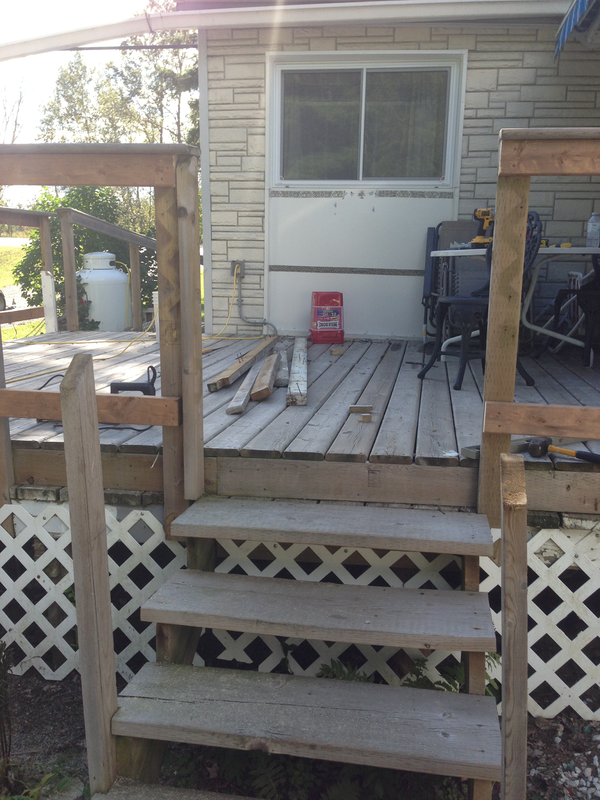 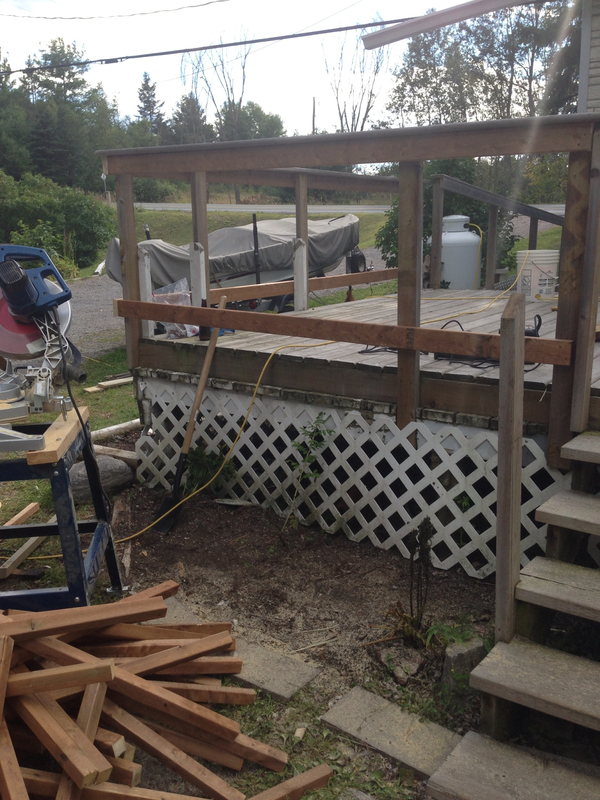 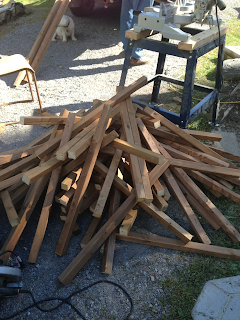 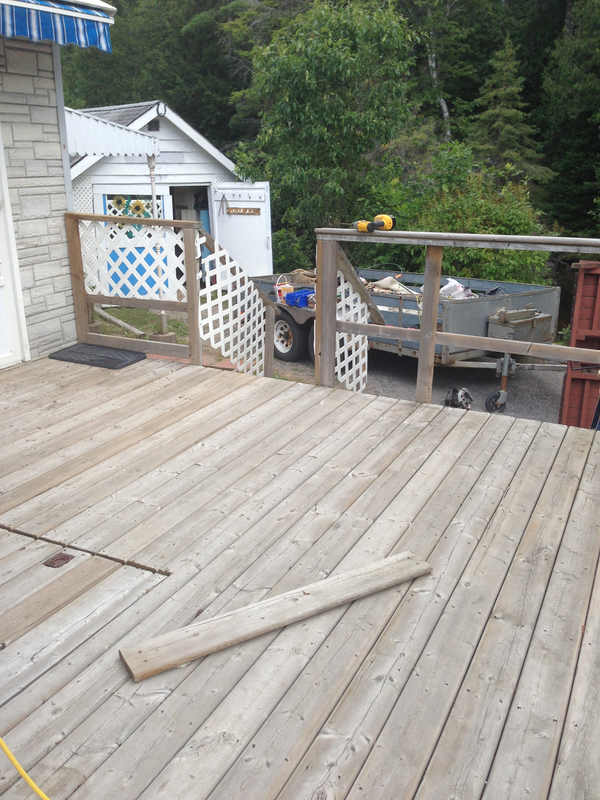 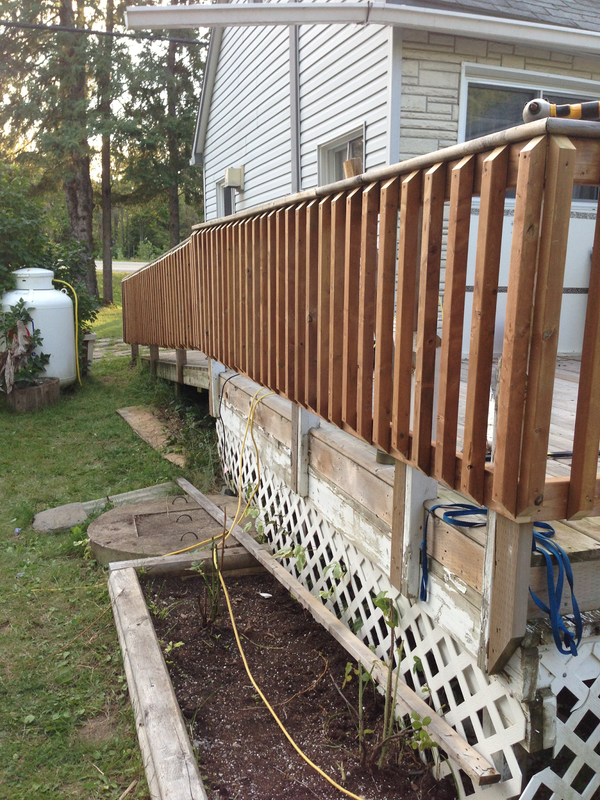 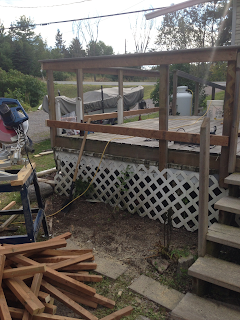 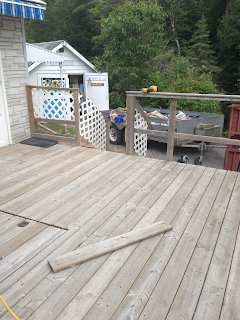 On August 14th Keith and I decided to head up to the property in the afternoon to rebuild the railing on the deck. 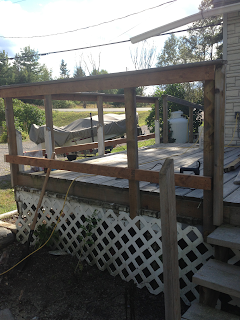 As you can see it was totally unsafe and ugly. 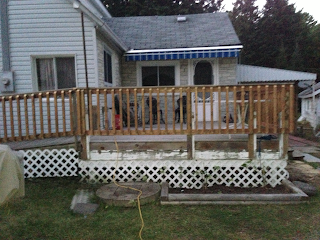 A couple of screws and bungie cords held the white plastic lattice work on. 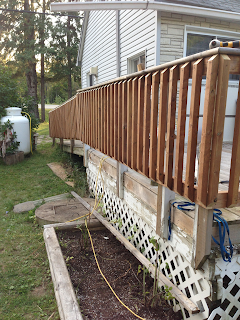 It was just a matter of time before the kids fell through the railing. 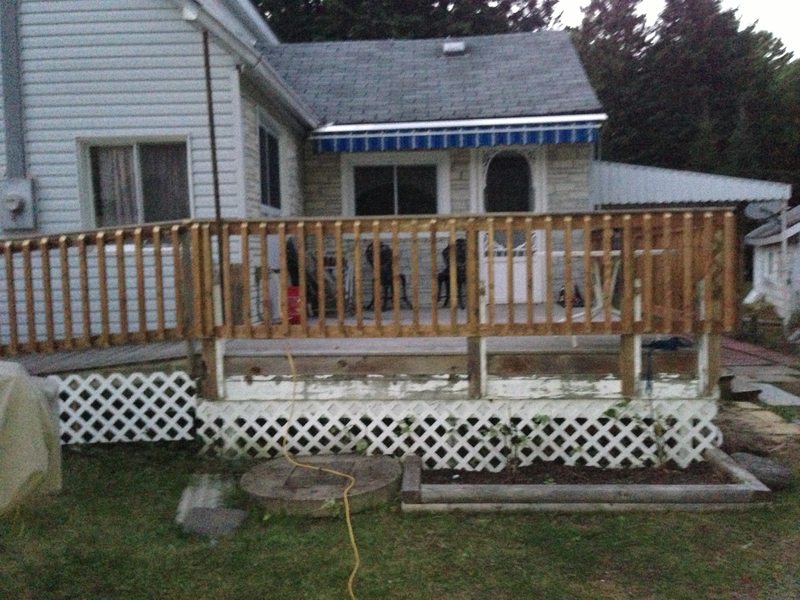 First thing we did is remove that white lattice.